Fr. John pictured with members of the choir who performed at the prayer service at Fr. John Nally's Farewell function in the Millennium Room of the Bridge House Hotel, Tullamore L. - R. Rachel Holmes, Mary Whelan, Aideen Naughton, Fr. 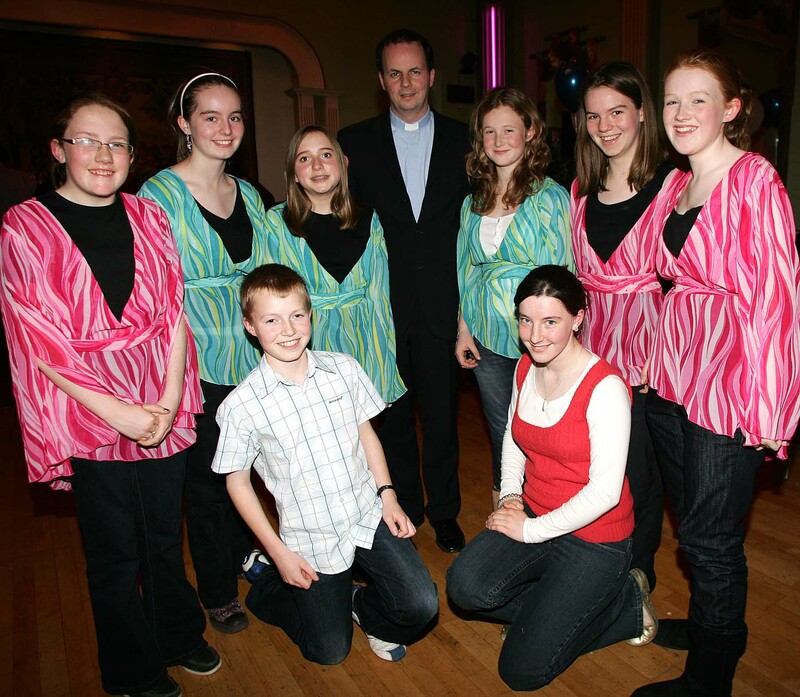 John, Jessica Somers, Ann Whelan and Orla Burke with in front Conor O'Brien and Michelle Molloy.